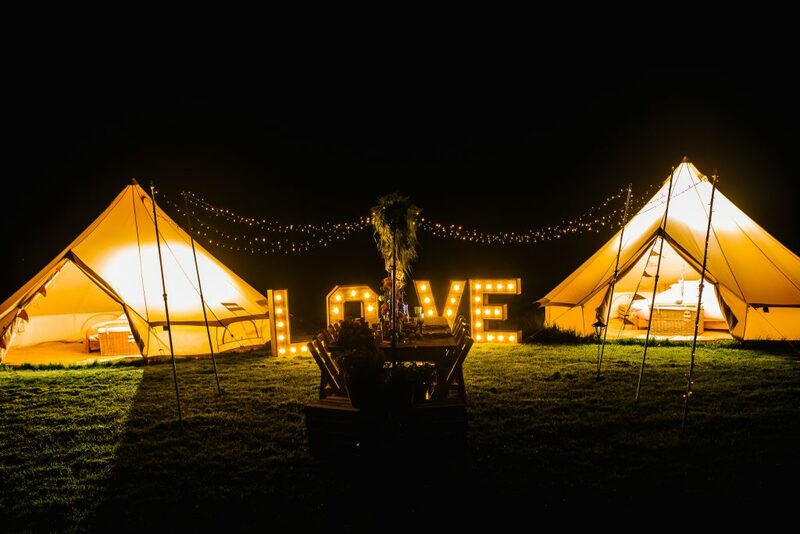 The Barn at Cott Farm is the perfect wedding venue for a boho festival wedding. 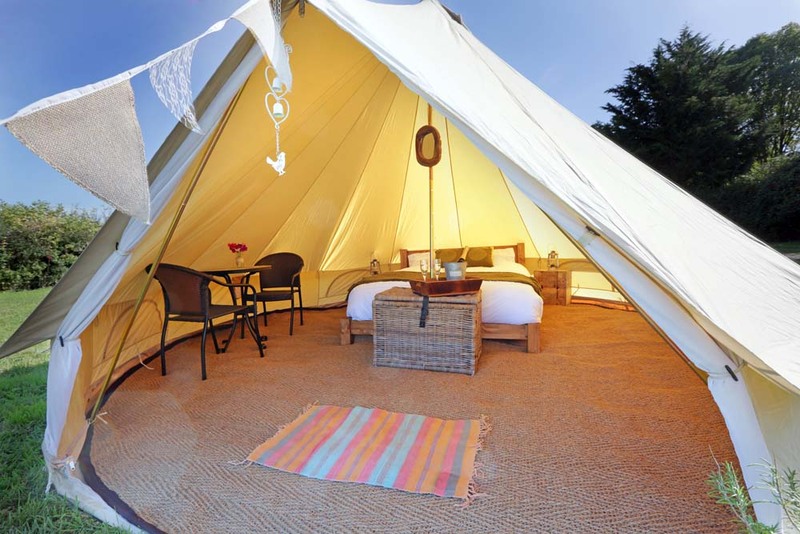 Our campsite, fire pit campfire with log seating (just bring your own marshmallows) and luxury furnished bell tents are ideal for the festival wedding theme. Plus there’s plenty of outdoor space for tents and games. 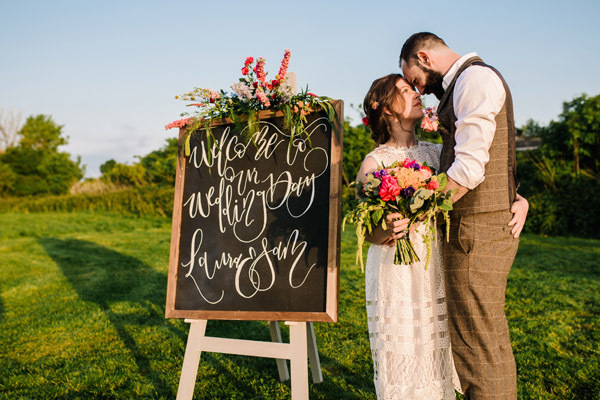 You’re free to decorate the barn (inside and outside) in your own style and you get the whole day before your wedding to set up and the day after to pack away. 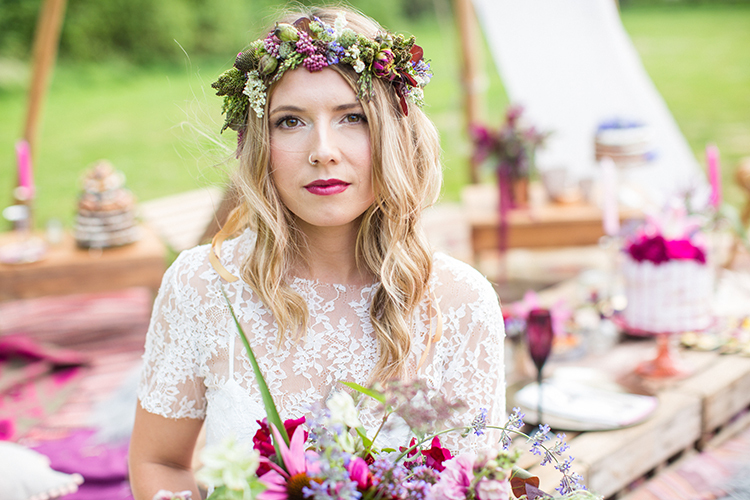 A messy plait, a half up half down or loose waves are perfect hairstyles for a boho festival bride, topped with a floral crown or headband. Photo: Daniel Weeks / Hair: Brothers & Sisters / Make up: Naomi Gilmore / Props: Apple & Bramble / Flowers: Twigs & Twine. 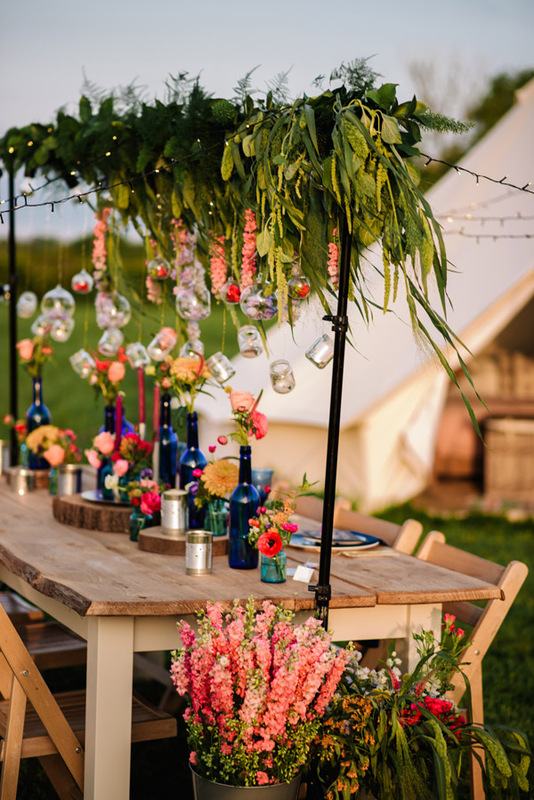 Flowers and decor should be colourful, natural and not too fussy – big bunches of wild flowers tied to together with twine are ideal. Choose bright, nature-inspired colours for your colour theme with plenty of green. 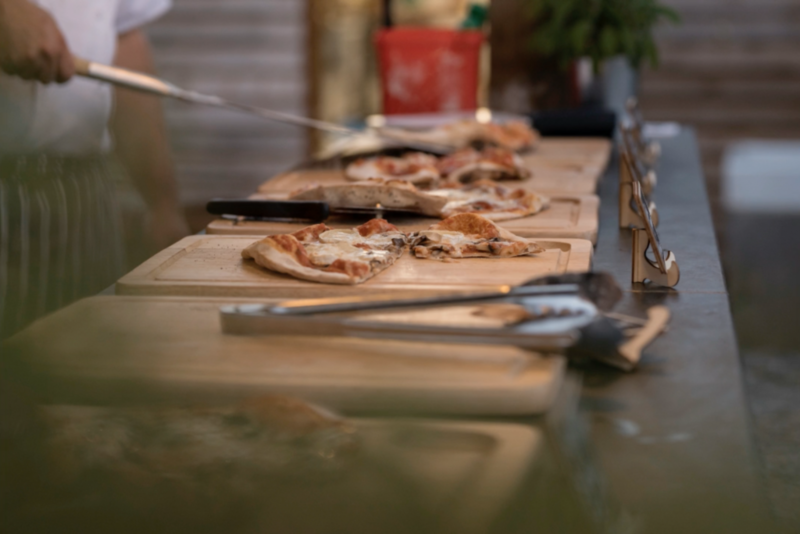 Go for quirky, statement and even industrial lighting mixed with natural materials such as wood. Photo: Daniel Weeks / Flowers: Twigs & Twine. 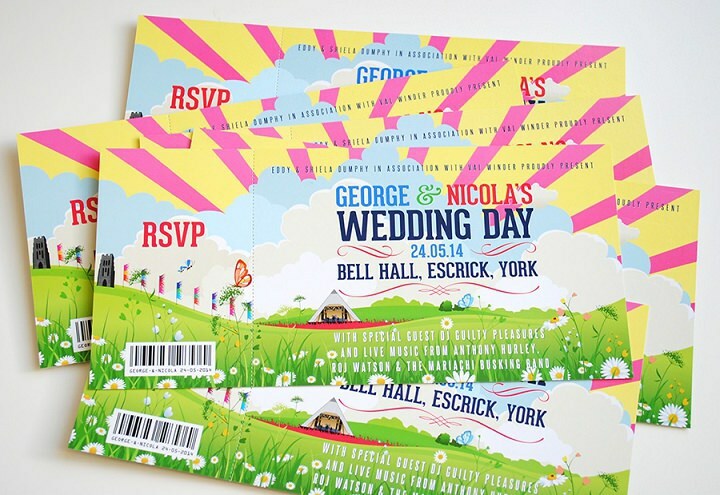 For the ultimate festival wedding experience, send your guests tickets instead of invites to your big day. This design by WedFest is perfect.